If you’re looking for a car that’s offered in a wide range of different models to make sure you can have the one that fits your personality the best, the Dodge Challenger is certainly a car you need to consider. This car is a muscle car that can be perfect for you to have the drive you’re looking for on the roads around Margate, FL. Take a look at this incredible car and it can be the right one for you to have the fun you want around your area. There are four engines in the lineup of the Dodge Challenger and you’ll be able to check out all four of the engines when you take a look at this car on the lot at Massey Yardley Chrysler Dodge Jeep Ram Fiat in Plantation, FL. This car gives you a range of power from 305 to 840 horsepower to make it one of the most amazing cars you can choose when you’re looking for something that has the performance you want out on the roads around Margate, FL. These power choices make a huge difference for you to have the fun you’re looking for. Starting at the base model of the Dodge Challenger you’ll choose the SXT model that has a V6 engine under the hood which includes a Uconnect infotainment system, a seven-inch touchscreen, Apple CarPlay, Android Auto, Bluetooth connectivity, USB and auxiliary ports, automatic climate controls, a remote starter, and several other convenience features. This is a car that can be a lot of fun on the roads around Margate, FL and it gives you the features you’re looking for. As you move up through the trims you’re going to find there are sixteen different trims that are each their own models for you to choose. You can choose to add the Performance Handling Package for the models with the 5.7-liter V8 engine under the hood to give you upgraded suspension features and brakes. Another choice you can make is the SRT Hellcat and Hellcat Widebody models that are loaded up from the factory with a ton of amazing qualities for your drive. The Dodge Challenge you want to enjoy on the roads in Margate, FL can be packed full of everything you’re looking for so that you can have the car that brings back the memories you want during the drive. 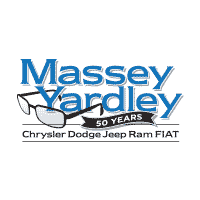 If you’re searching for a Dodge Challenger that can be the fun and active muscle car you want to experience out on the roads around Margate, FL, you need to see the team at Massey Yardley Chrysler Dodge Jeep Ram Fiat in Plantation, FL. Let this team become the right one for you to have the drive you’re looking for so that you can enjoy the ride that’s perfect for you. Come in and see what this impressive muscle car and make it the right one for you to drive on the road or at the track.